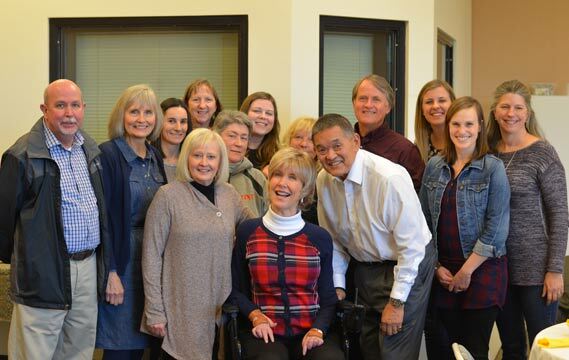 Last weekend, my home church, Good Shepherd Community Church, had the privilege of hosting Joni Eareckson Tada and her wonderful husband Ken for a Sanctity of Human Life weekend. Joni’s a faithful servant of God, who has lived what Eugene Peterson called “a long obedience in the same direction.” I can't think of anyone better qualified to speak on Sanctity of Human Life issues—Joni has been a faithful advocate for the disabled, the unborn, the elderly, and the voiceless. Because of the insights Joni has into something we all have faced, or will face, I cannot encourage you enough to get a copy of her Beyond Suffering Bible. It's a wonderful resource for every reader, and not just for those who are disabled, because our present life under the curse is hard (though we’re guaranteed a glorious future with God and His people on the New Earth!). After Joni spoke on Sunday morning, most of our Eternal Perspective Ministries staff gathered for lunch with her and Ken. 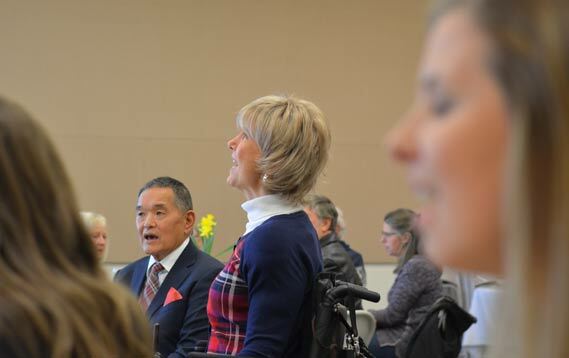 Our ministry has enjoyed a special partnership with Joni and Friends (JAF) over the years, so it was a privilege to spend time together, including singing “Great Is Thy Faithfulness” before our meal. What a privilege for our EPM staff to have been touched by Joni’s life and books and to support the wonderful ministry of JAF. Looking for a wonderful need-meeting cause to support? Check out JAF’s Wheels for the World, one of my favorite ministries. Watch this 2-minute video and you’ll be eager to give to this great cause. No one has greater credibility to speak on this subject than Joni Eareckson Tada, who in July will mark the 50th anniversary of the accident that left her a quadriplegic.